Signature Gourmet Chocolate, Gummy Bears and Pop*A*Licious Popcorn – The Best in-hand Fundraisers! 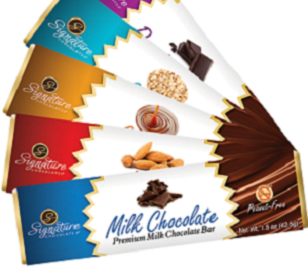 Delicious, Signature Gourmet Chocolates has raised millions of dollars for all types of schools and groups of any size throughout the USA. Featuring the $1 bar sellers which are 15-18% LARGER BARS than competitors in beautiful high end packaging. Signature offers 40-50% profit, quality, value, very low delivery fees and small minimum order requirements. Many groups find it easy to sell the in-hand $1 and $2 item selections. Signature Gummy Bears available in Traditional and Sour flavors!!! Gummy Bears can be packaged in combination with Chocolate Bars in FUNTASTIC customized cases. Pop*A*Licious Popcorn Quickly becoming an industry favorite! Fresh, delicious flavored popcorn! Five different flavors- Sweet, Spicy and Savory in $2 sized packages! Get started with any program in just a few business days. Now here is the fund raising idea everyone is talking about! This hot fundraiser is producing high profits and is viewed by many as a “win-win” situation for all! The profits are amazing, and your customers will love the quality they receive for the price they pay! 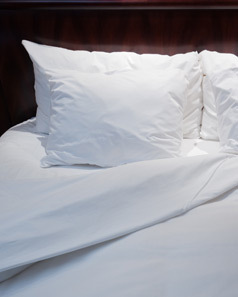 You can’t find sheets of this quality for any less than the price you will offer your customers. You will make a minimum of $18 per set. You determine the selling price. The current recommended fund raising retail price is a minimum of $40 – $45. Don’t let this opportunity get past you. With the very low minimum order quantity of 24 sets, and the option to re-order at anytime, this fund raiser also works well for any size and type of group. Go ahead, give us a call and get started on this now! Visit the profit calculator in our Fund Raising Tools section to estimate for yourself what your group can make! One of THE most popular items available in fund raising right now. Made in the USA, licensed, a hot or cold “Go Cup”! The quality is amazing and they are microwave and dishwasher safe. The best use-able gift you could give! Select fun designs or show your collegiate and major league pride! Distributed through GoalBuster, Inc. We love working with these folks with a start to finish process you will want to repeat! Orders are packed by seller and get turned around quick!